Our Amish furniture experts will gladly answer your questions. Real Amish Craftsmanship. Real Value. We've proudly represented the work of Amish artisans since 1999, offering discounts of 40%+ every day. You choose the size, wood and finish. Using sustainably harvested hardwoods, your furniture will be custom built and delivered to your home, typically in 6 to 8 weeks. $195 Delivery – for your entire order. No particle board, no veneer, no MDF, no shortcuts. We use solid wood, guaranteed to last for generations. Dovetail corners, mortise & tenon joints, full extension drawers, hand-rubbed finishes... quality uncompromised. Need modifications or a 1-of-a-kind original? We make it easy & affordable. Since 1999 our company has offered custom made Amish benches in a wide variety of styles including Victorian benches, lodge benches, rustic benches, Windsor benches, Queen Anne benches, French benches, country French benches, French Provincial benches, mission benches, shaker benches, country benches, arts & crafts benches, craftsmen benches, early American benches, Georgian benches, Louis Philippe benches, colonial benches, Tuscan benches, Spanish benches, western benches, loft benches, formal benches, small benches, contemporary benches, even modern benches. We also carry Victorian hall seats, lodge hall seats, rustic hall seats, Windsor hall seats, Queen Anne hall seats, French hall seats, country French hall seats, French Provincial hall seats, mission hall seats, shaker hall seats, country hall seats, arts & crafts hall seats, craftsmen hall seats, early American hall seats, Georgian hall seats, Louis Philippe hall seats, colonial hall seats, Tuscan hall seats, Spanish hall seats, western hall seats, loft hall seats, formal hall seats, small hall seats, contemporary hall seats, and modern hall seats. Wood benches (often referred to as wooden benches) can be handmade from many types of real wood. Oak benches are very popular hardwood benches as are brown maple benches, elm benches, cherry benches, walnut benches, maple benches, hickory benches, quartersawn oak benches, and rustic cherry benches. 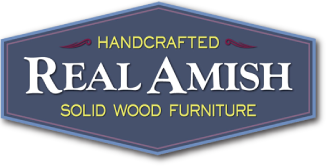 Real Amish carries a wide array of oak hall seats, brown maple hall seats, elm hall seats, cherry hall seats, walnut hall seats, maple hall seats, hickory hall seats, quartersawn oak hall seats, and rustic cherry hall seats.